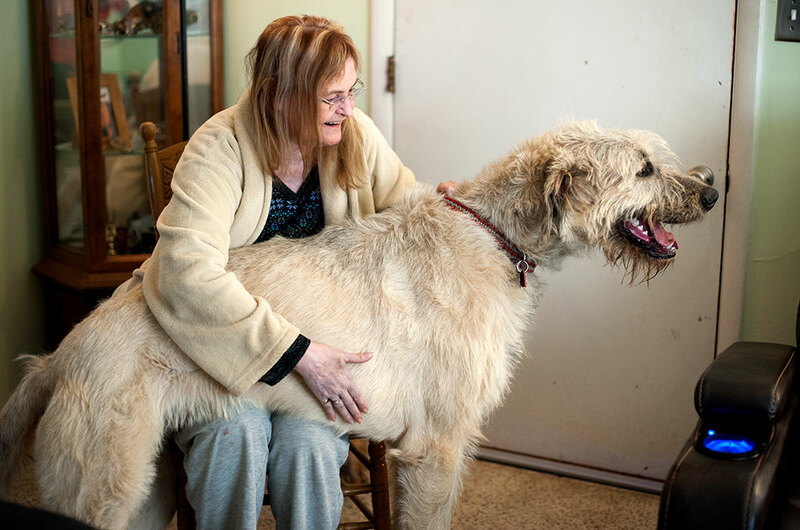 Hawken the Irish Wolfhound does his version of sitting in Abby’s lap this morning. 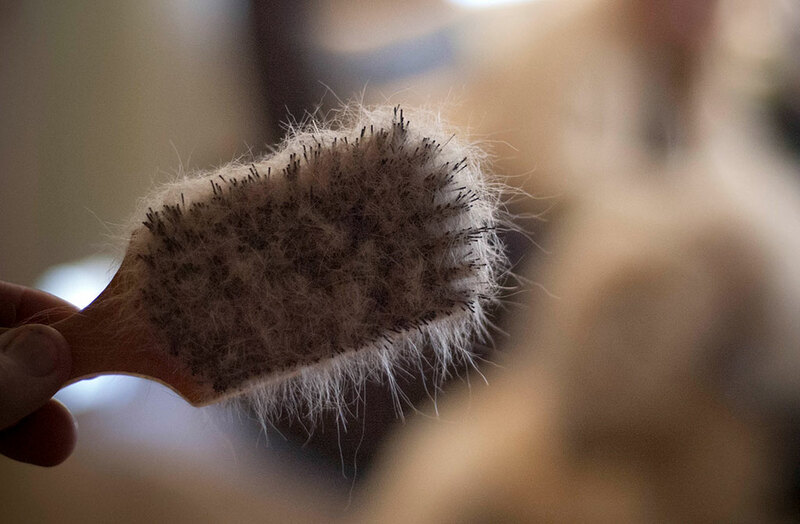 Abby and I took turns brushing Hawken, which he thought was incredible fun. We brushed out quite a bit of loose fur, as you can see. First, an epiphany: while considering a stat I read recently stating that 95% of all blogs are abandoned, it dawned on me that when I was writing in my paper journal every day, I routinely told my friends and interested parties, “You should keep a journal, too.” The next time I saw them, they had written one entry and stopped. 95% of all journals are abandoned. Secondly, I started feeling puny yesterday afternoon, so today I am staying home. If I stay home and avoid stress, I might be able to feel better soon. I am taking a ton of cold medicine, drinking hot drinks, and attempting to sleep my illness away. I’m not crazy sick like a lot of people I know this season, and I don’t have fever, so this might work. This is my standard go-to handful of pills when I have the crud. 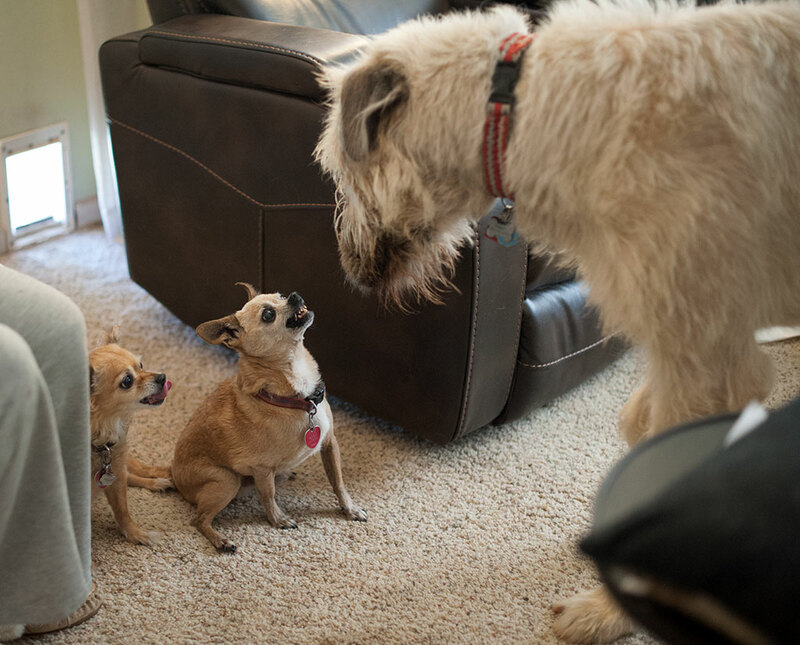 Sierra and Max assert dominance over a Wolfhound eight times their combined weight. Get better soon. Lots of “crud” going around here too. My blog is alive and thriving. I make posts once in a while. 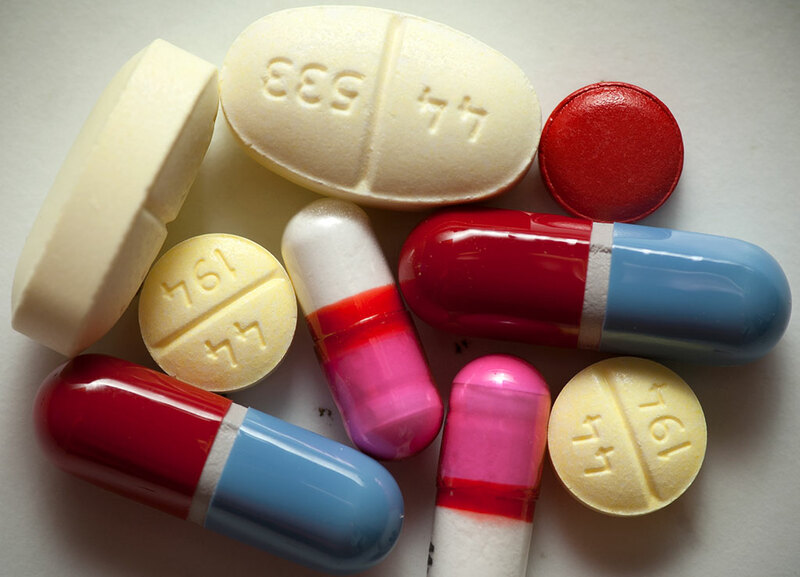 Is zicam part of your arsenal? That helps, a little. That is a masculine handful of pills. Hawken just looks awesome. I don’t know how you guys can keep him in the house. I’ll bet the Chihuahuas have have no problem asserting their dominance. He just looks like a sweet dog. We saw a Husky today and decided we have to have one. As predicted, I slept right through the blue-blood-eclipse-super moon. Are you saying working at The Ada News is stressful? Completing tasks is stressful compared to falling asleep on the couch.